Where did May go? For that matter, when does spring start? My extensive tastings of Washington wines included a lot of spring releases, though spring itself was nowhere to be found. If misery loves company, it has plenty of it. Today's news brought doom and gloom headlines from up and down the coast. "California Wine Grape Growers Concerned About Erratic Spring Weather"
Vineyards a month behind – in California of all places. No better up here. Plenty of vines are being cut down to the ground in Walla Walla and elsewhere. The good news – such as it is – is that most are own-rooted so will come back. And many vintners (having been through this a few times) bury canes, so there will be a crop this year, albeit a small and difficult one for many folks. At times like this, it is a comfort to sip through new releases of wines from vintages now safely bottled and showing well. 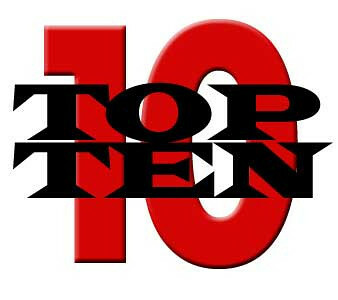 It has become my custom to begin each new month with a list of the Top 10 Northwest Wines tasted from the previous month. Here is the list (ranked in order) from all the Washington wines tasted in May. It's based upon both price and score – the 10 wines listed will all be very high scoring, but the ultimate order also reflects the price. A less-expensive wine with a score comparable to a more expensive wine will have a higher ranking. Somewhat arbitrarily, I have elected to list just one wine per winery. So some of these wineries have other wines that could have been included, but the one listed is the top scorer. One practical reason to publish this list monthly is that so many of these wines are from boutique producers and will have a very brief window of availability. Happily, none (yet) are on closed mailing lists. That can be frustrating, but anyone who trolls the online auction sites knows that just about anything from anyone is for sale – at a price. This is a heads up on what to grab quickly. Full reviews and scores will appear in a future issue of the Wine Enthusiast. If this had a Napa Valley label on it, it could sell for three times the price. The structure is full and fleshy, but with the vividly bright fruit that screams Washington state. Juicy acidity underscores the berries, cherries and plums; the generously applied new oak adds texture and layers of caramel, coconut and chocolate. Maison Bleue 2009 Upland Vineyard Gravière G.S.M. Jon Martinez, who arrived in Washington barely six years ago, is knocking the ball out of the park. This half Syrah, one quarter each Grenache and Mourvèdre, sourced from the Upland Vineyard in the tiny Snipes Mountain AVA, is a revelation. Pure berries, cassis, rock, earth, licorice, and a hint of baking spices. Two excellent Chardonnay vineyards – Conner-Lee and Lewis – contribute the grapes to this robust, lightly toasty, almost creamy wine. It glides across the palate leaving a trail of whipped cream; it’s that smooth and flavorful. Wow, if any wine can blow away the thought that Merlot is a thin, wimpy, nondescript red, this is the wine. From the iconic Champoux vineyard, it has magic and muscle, a broad and deep display of black fruits, coffee, licorice, dark chocolate, baking spices, and beautifully-built tannins. This Priorat-like blend of 50% Grenache, 28% Syrah, and 22% Mourvèdre is pungent and spicy, with a bit of menthol in the nose. Supple and luxurious fruit, a mix of raspberry and black fruits, baking spices, sweet barrel flavors. A dark, smoky, earthy Syrah with juicy blackberry and black currant fruits. This wine just coats the palate and seduces; threads of coffee and caramel, baking spices and cinnamon all weave through the lengthy finish. Deep fruit flavors of boysenberry, cassis and black cherry are tightly wrapped in dark barrel flavors of graphite and baking spices; tannins are still stiff with tongue-drying astringency. This wine has texture and depth, but needs time and attention to its subtleties. True non-interventionist winemaking (indigenous yeast, no fining or filtering) yields an immense wine, inky purple/black, packed with black and purple fruits, laced with smoke and espresso, and finished with fine-grained, substantial tannins. Loess is the estate vineyard at Leonetti Cellar, though Leonetti makes no Syrah. Winemaker Jamie Brown gets a small amount, and makes this sharply-etched, spicy, dense, intriguing wine. Tobacco, baking spices, wild berries and smoke roll on through. The wine has muscle and depth; what it needs is time. Soft entry, with generous aromas introducing supple purple and black fruits. Tannins are substantial, well-structured, slightly grainy. There are light streaks of smoke and coffee and herb and bark; wrapped in the toasty barrel flavors.